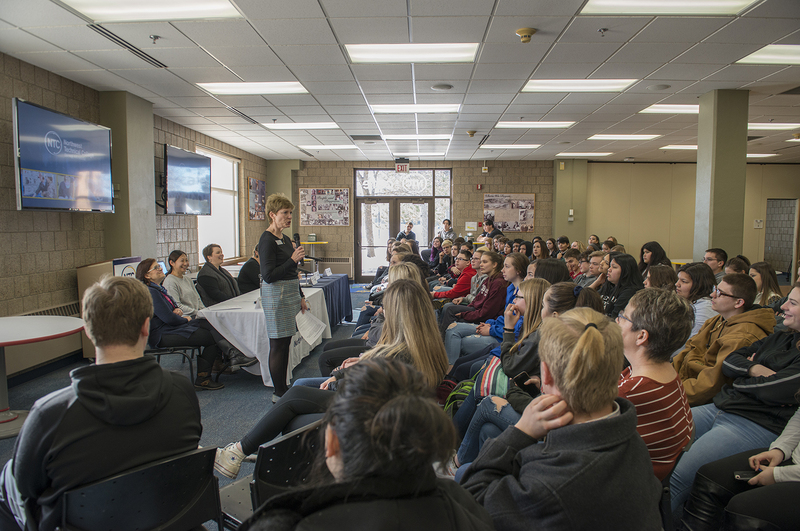 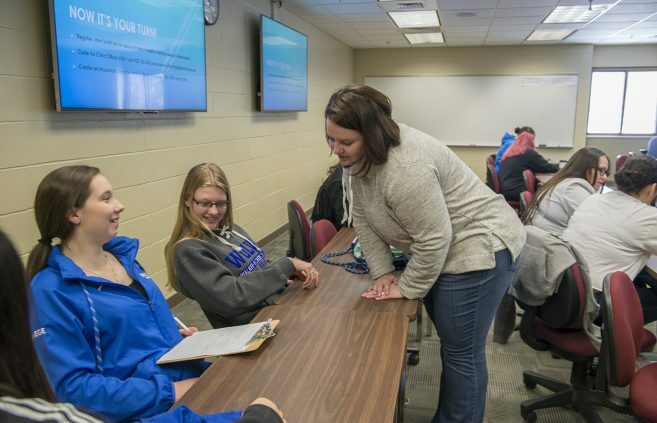 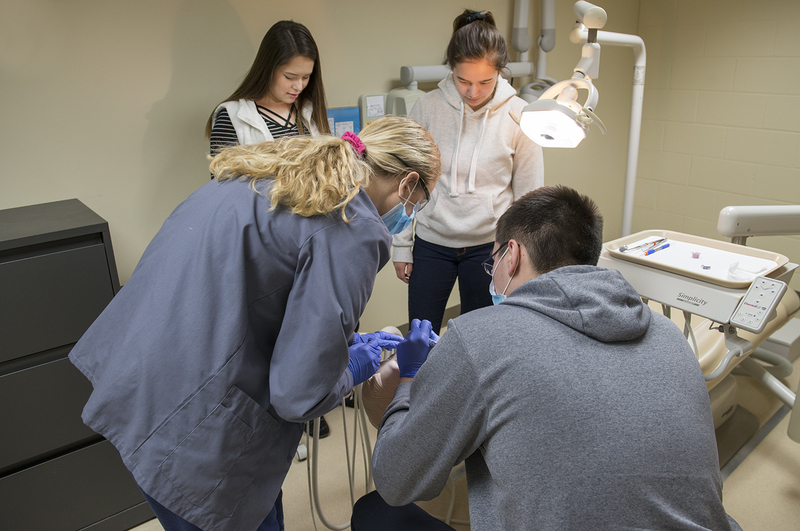 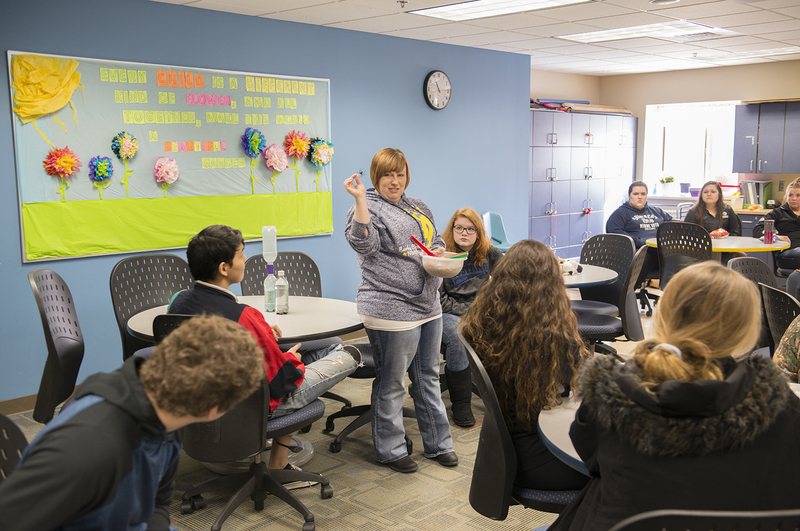 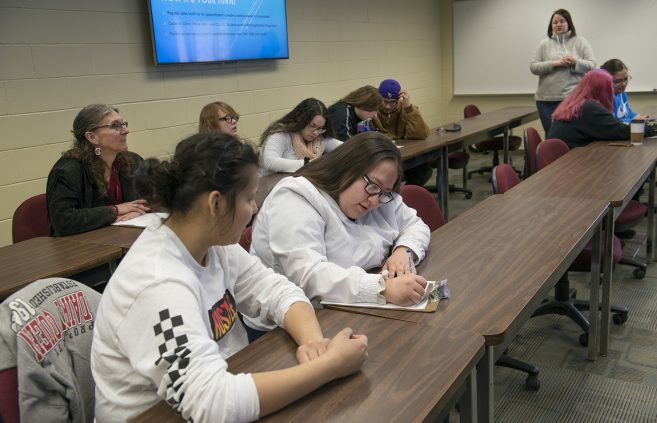 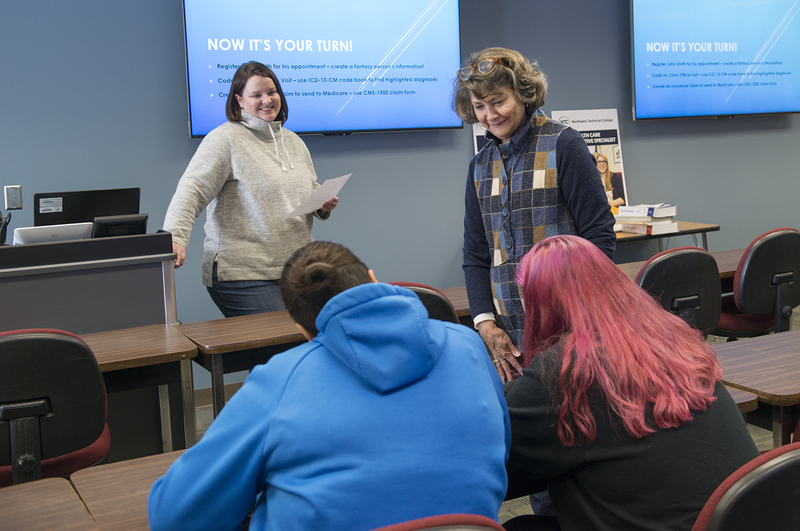 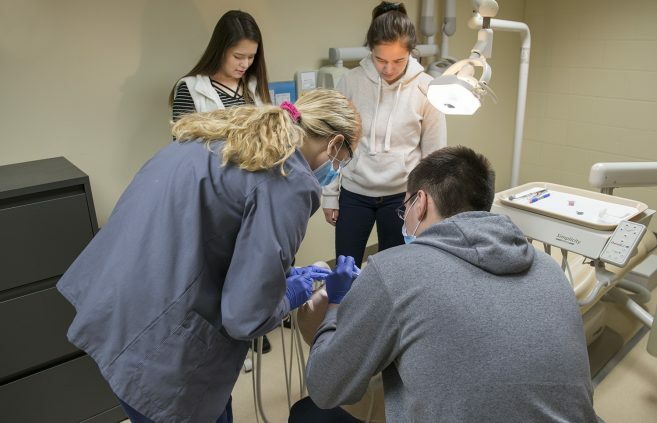 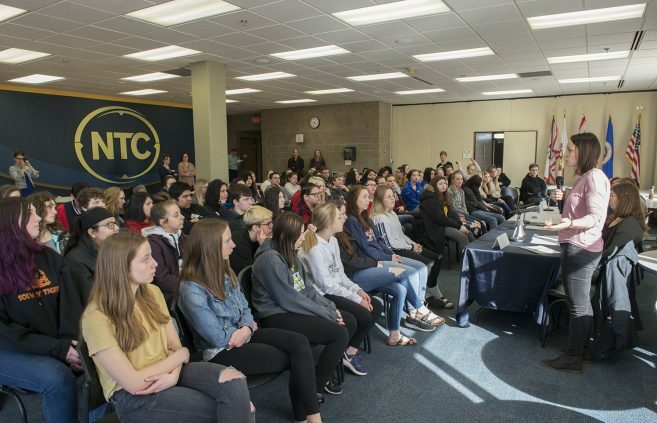 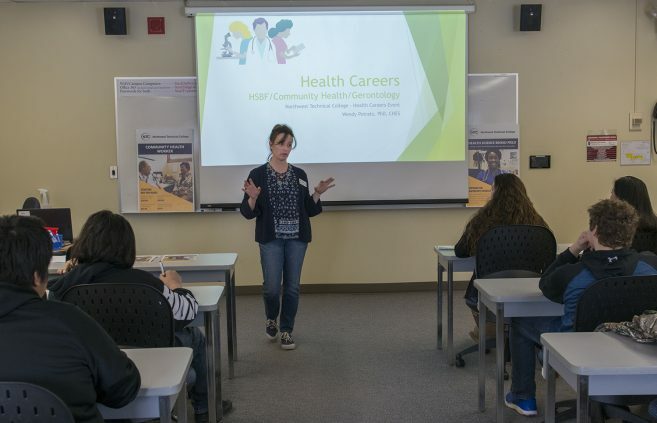 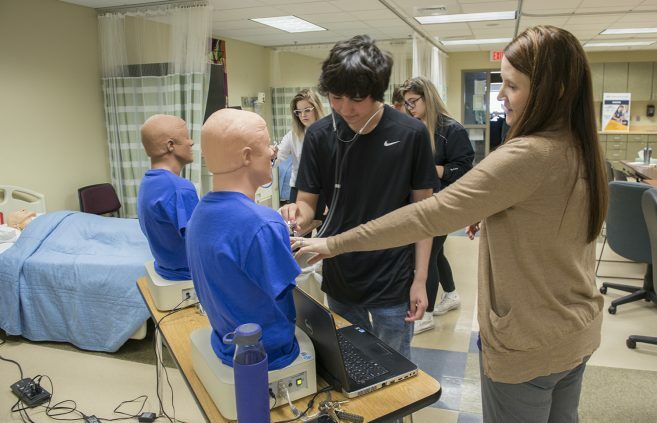 Northwest Technical College welcomed more than 80 students from five local high schools to campus for a health and human services open house on March 20. 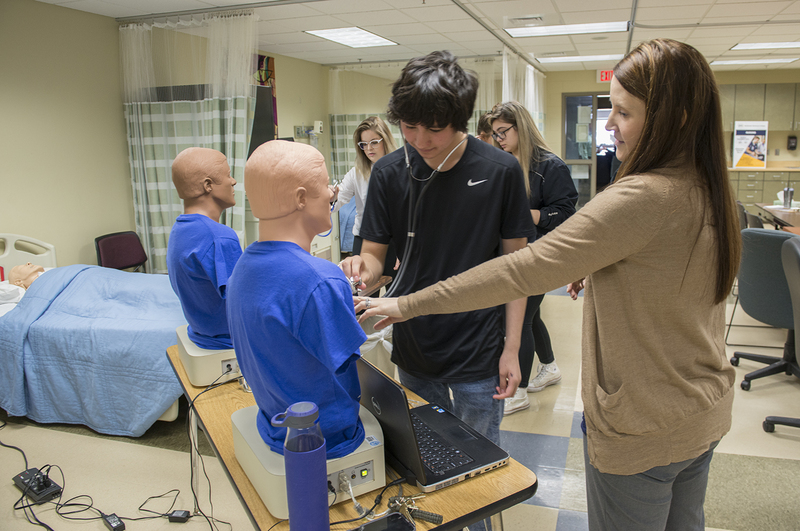 “We invite area high schools through our consortium to come to campus and experience what it’s like to be an NTC student and work in health care career fields,” Admissions Representative Tia Miles said. 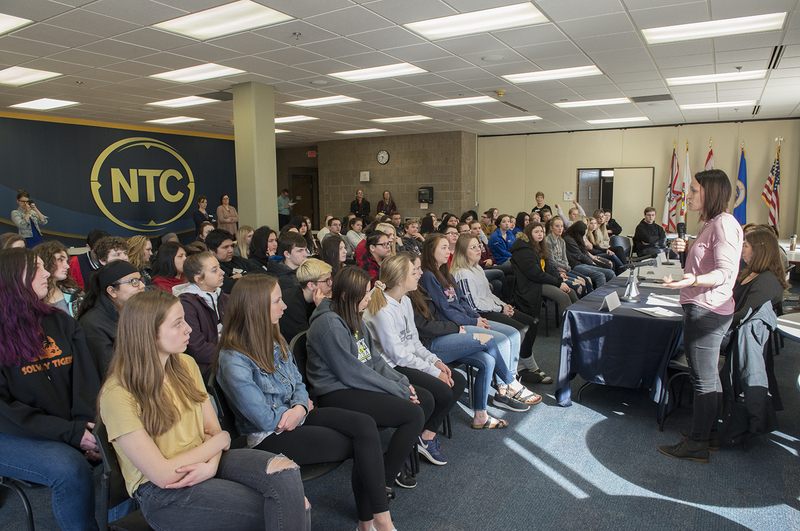 The program began at 9:45 a.m. on Wednesday morning with a welcome from Michele Brielmaier, director of nursing and health services at NTC, and led into a health and human services panel featuring representatives from Sanford Health, the Leech Lake Band of Ojibwe and Calvary Lutheran Church Preschool. 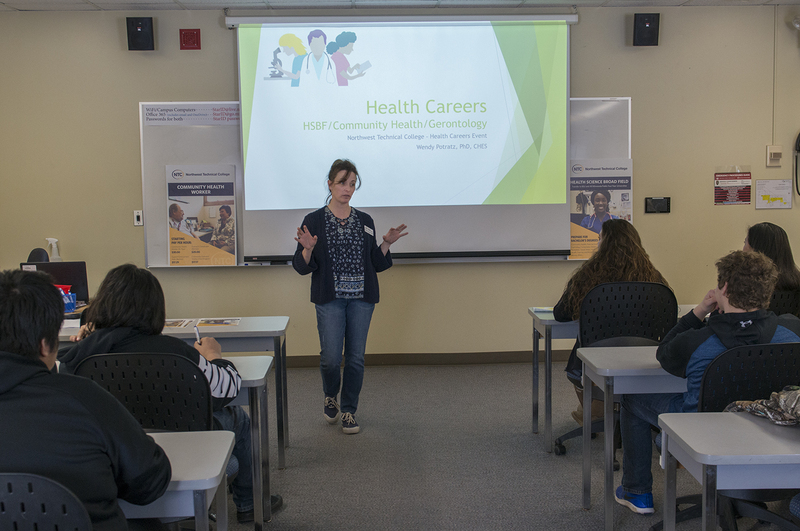 Students then rotated between brief information sessions with NTC’s medical coding, nursing, dental assisting, community health and childhood education professionals.